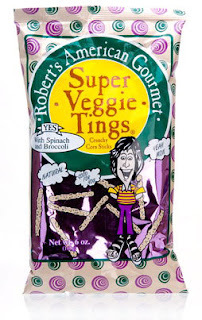 Robert’s American Gourmet has expanded its recall to include Super Veggie Tings. If you have a bag of this snack, please dispose of it immediately and contact info@robscape.com for reimbursement. Super Veggie Tings is a corn stick snack that has the potential to be contaminated with salmonella. Salmonella can cause serious or fatal infections in young children, people with weakened immune systems, and the elderly. Healthy people can experience vomiting, diarrhea, nausea, and fever from salmonella. In addition, the infection can spread to the bloodstream and cause endocarditis, arthritis, and arterial infections. The recall is precautionary, as the product contains some of the same ingredients as the previously recalled Veggie Booty. In addition, the Minnesota State Health Department positively tested Veggie Booty for Salmonella Wandsworth. Preliminary independent tests suspect the veggie seasoning to be the source of the contamination. And as you might expect, the source of origin for the seasoning is China! The problems with products from China continue to reveal themselves: Lead paint in toys, deadly dog food, tainted toothpaste, etc. Thanks to Thingamababy, I read about a family that lived a year without “Made in China” products and a NY Times article titled “As More Toys are Recalled, Trail Ends in China“. Thingamababy also reports about a journalist that was retained in China when trying to investigate the Thomas the Tank Engine recall. For the safety of our children and our planet, we need to end our addiction to cheaply made Chinese products. Lawyers are already springing up to represent Veggie Booty recall clients. I am not sure how I feel about this. If it was my child that was poisoned, then I would be angry and want some sort of compensation. On the other hand, I feel we need to improve our food industry by eliminating Chinese imports or somehow strengthen the quality control of overseas production, and I am not sure personal lawsuits in this country will bring about the global change that needs to occur. I welcome your thoughts on this issue. Thank you Sheri for alerting us to this expanded recall. I think that I have lost faith that anything will be done to stop this. It is up to us to protect ourselves. Buying local or home grown is the best way to go. However, even that may not keep you from getting salmonella poisoning. I have found it impossible to find where a product was grown on frozen fruits and veggies at the supermarket. I also think that the companies here in America importing the products should be held liable. Maybe not by suing them. How much more is it going to take for for something to change? It is frustrating to walk into a store when you need something other than food and see that it is made in China. All I can think of is who knows what this is made of. The kitchen items that I purchased back in the mid 90’s are not from China. So I am not sure when all of this got so out of hand. I could go on and on all day about this. I think you got me on a roll there LOL. I hear you on the lawsuits however, a good friend of mine is actually one of personal suits against Veggie Booty. Her 17 month got Salmonella. He’s been in and out of the ER on several occassions and sick for the last 7 weeks. SEVEN weeks is pretty long to have your toddler sick (it’s not always horrible every day). If he was better within 4 days they probably would have let it past but with this going on this long and getting a bunch of “I don’t knows” from doctors, I can really understand why they went this route. He’s now showing symptoms of the 2nd type of Salmonella that VB is now rumored to be testing positive for which can lead to typhoid fever. They are vegetarians, I think her son may be vegan, they always try to local and/or organic, this was one of their few “indulgences” (I prefer Ben & Jerry’s!) and I just feel awful for them. I agree. When it is your child, and your child has been so sick, I would be intersted in a lawsuit as well. I hope your friend’s child recovers quickly. Will the Feds Finally Boot Junk Food From Public Schools?